Do you need clothes for yourself or for your children? Looking for kitchen items and other housewares? Come to Carol’s Closet! Open at our Monday and Thursday kitchens from 12-1 p.m., Carol’s Closet welcomes guests to take what they need. Want to Donate to Carol’s Closet? We do not accept furniture or electrical items. 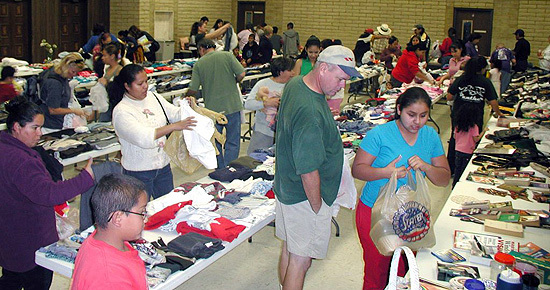 We accept donations during days of operation, from 8AM-11AM. *Due to the limit of space in each kitchen we will not be able to accept all donations. We apologize for any inconvenience.